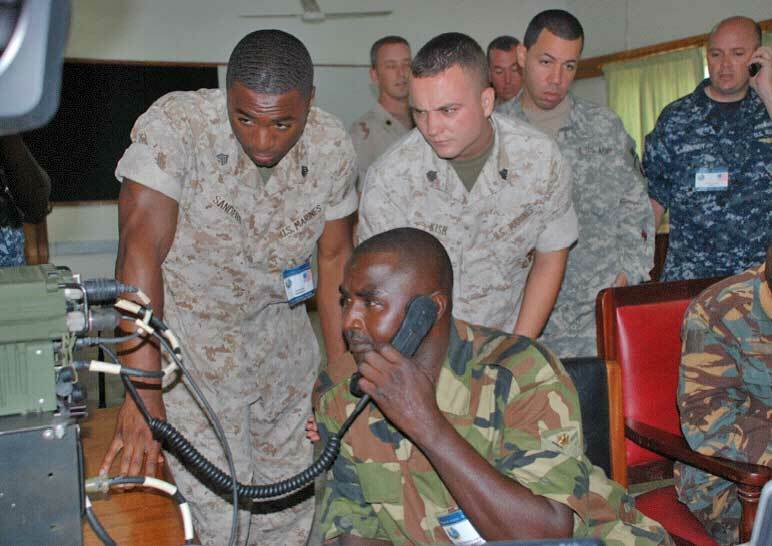 The US goal with the annual Africa Endeavor is to become thoroughly embedded into African communication systems, making monitoring, spying or information/disinformation campaigns far easier for the US. 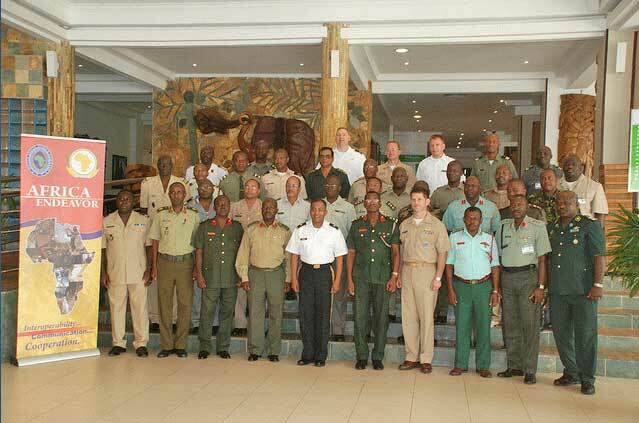 Africa Endeavor has been underway in Ghana this week and is just concluding. For me this is an amazing learning experience. I know the Information Assurance program that is being taught during this exercise. My job here is to teach other people. It is both an experience and a teaching environment. We can meet people from everywhere and get to share knowledge. Having help from other countries has helped us achieve our goal. 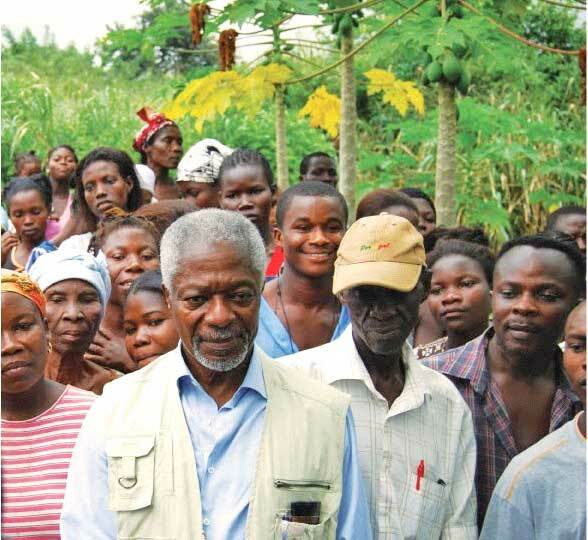 While at Africa Endeavor, I am responsible for people from many different nations. I have to plan how to get them working as a group. I have learned new leadership skills that I will take back with me to my country. 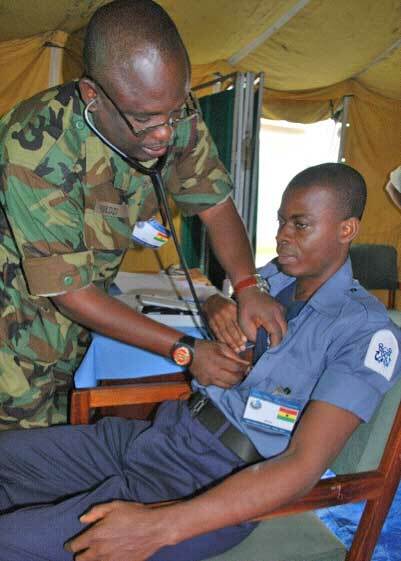 My impression of Africa Endeavor (AE) 2010 is that it opens one’s eyes to modern trends in communications. It’s a wonderful experience that gets people to interact and share so much information. AE is important to me personally, because I have learned so much, especially from the resource personnel selected to conduct the lessons on various topics. They brought out certain aspects that helped me to understand the materials they presented even deeper. As Zambia we stand to benefit from AE in that the demonstrations about the new technology in communication equipment makes us aspire to acquire such equipment that can be useful to our country. Wouldn’t it be a good idea for the US to invest the same or greater resources into building capacity in the civilian sector, training civilians for technology and leadership skills. 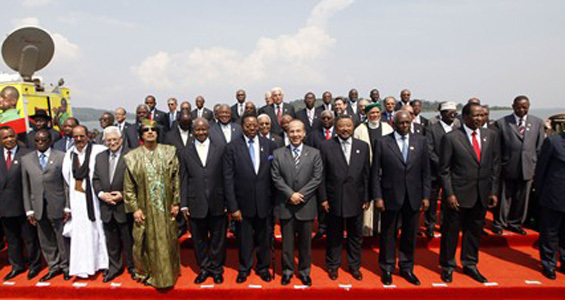 Who is going to lead and govern countries in Africa? 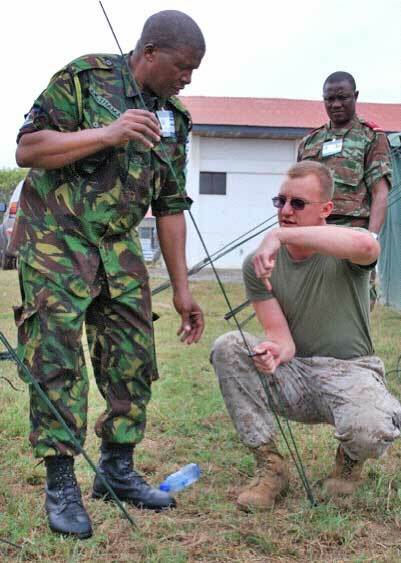 I have heard and read a number of comments from participants in these Africa Command training programs very similar to what Captain Folly and Major Kepiza have to say. 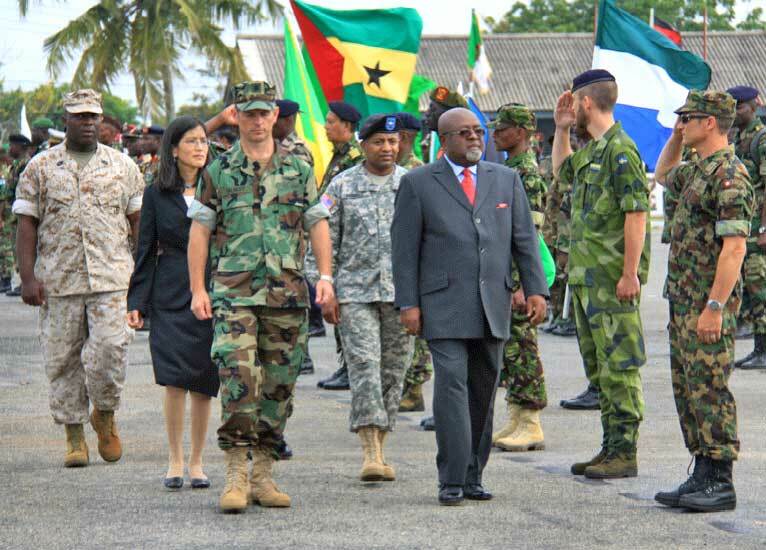 Ghanaians, and participants from a variety of countries have expressed similar enthusiasm. I am delighted they are able to participate and that the US training has been of so much value. My question is, how will these individuals apply these skills when they are dissatisfied with their governments? How will they apply their leadership and technological skills and networks? 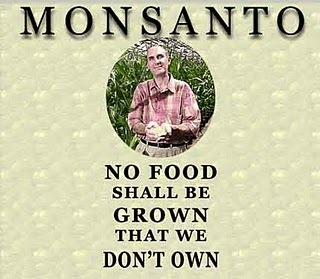 All of us, in all the countries of the world, are dissatisfied with our governments at least some of the time. How will the governments where these trainees live cope with the challenges they face. 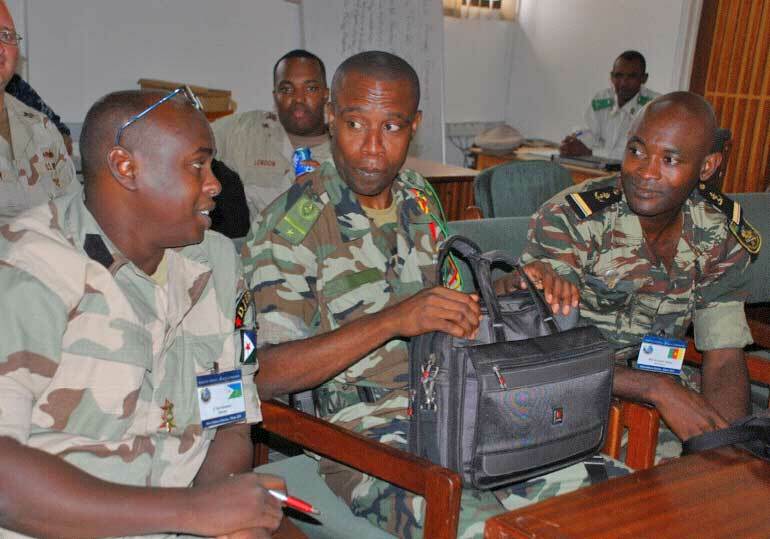 Where will the civilian sector get the technological and leadership training? How will these governments cope with challenges arising from the expectations of their own military organizations? And what will the US government do when faced with coup governments created by their trainees and proteges? I think we can look at the recent elections in Kenya and Rwanda for clues. 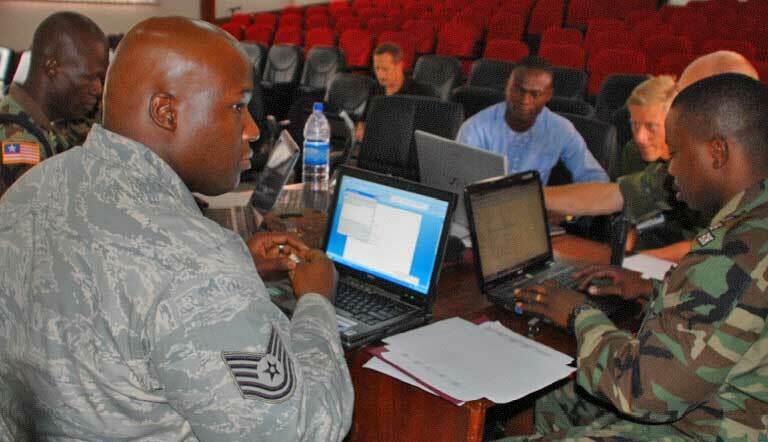 AE 2010’s goal is to develop command, control and communications tactics, techniques and procedures that can be used by the African Union (AU) and the African Standby Force in support of humanitarian assistance, disaster relief and peace support missions. AE 2010 participants will spend the initial days of this two-week exercise learning academics regarding voice and data networks theory and configuration. The last several days of AE 2010 will be spent applying that knowledge during exercise scenarios. 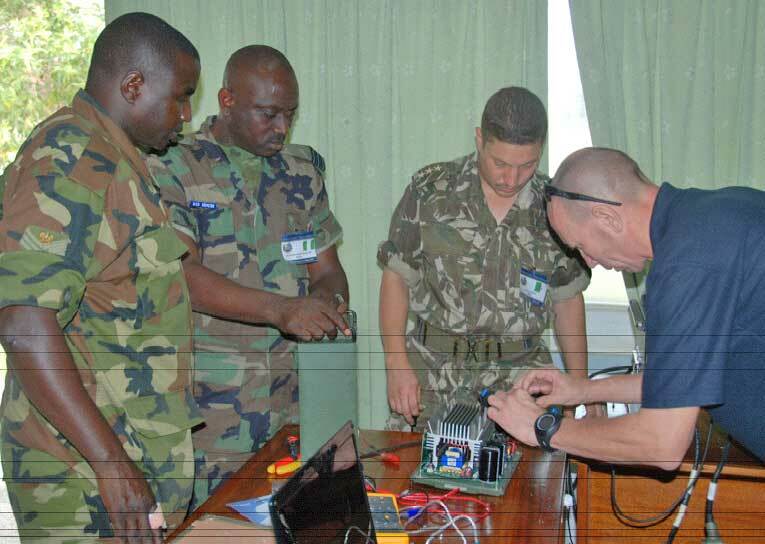 This year’s exercise will be the first time a communications link between the exercise location and the AU is established. 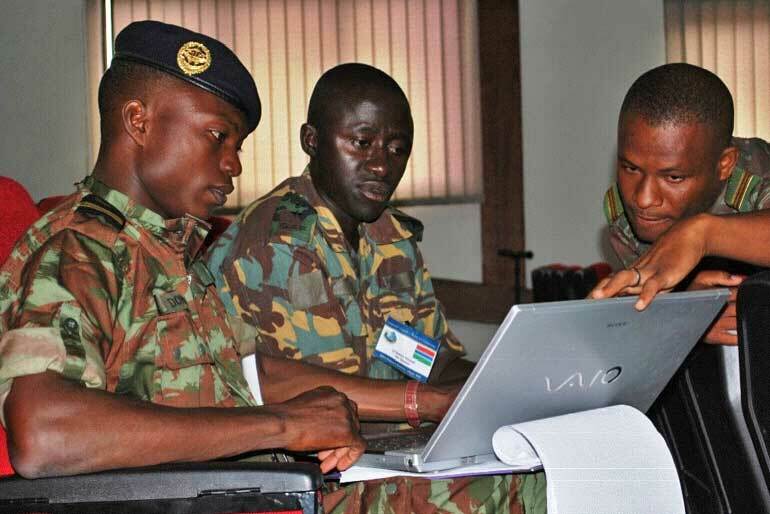 Situation reports and messages pertaining to the scenario and exercise will be passed from Accra, Ghana to the AU Peace Support Operations Center in Addis Ababa, Ethiopia. If the only leadership you invest in is military leadership, if that is where you put all your money and effort, if that is what you train for, who do you expect will govern in the future? 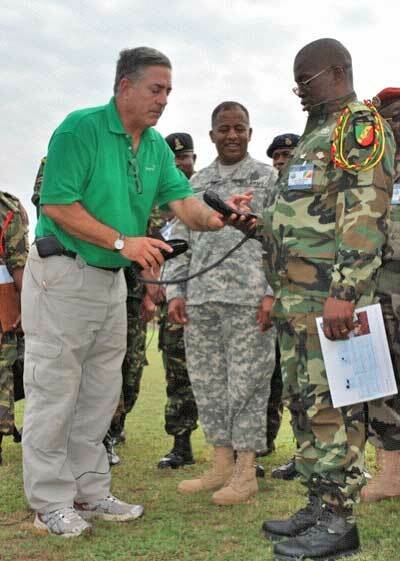 Whatever the case, the US military will be well and truly embedded in African communication systems. 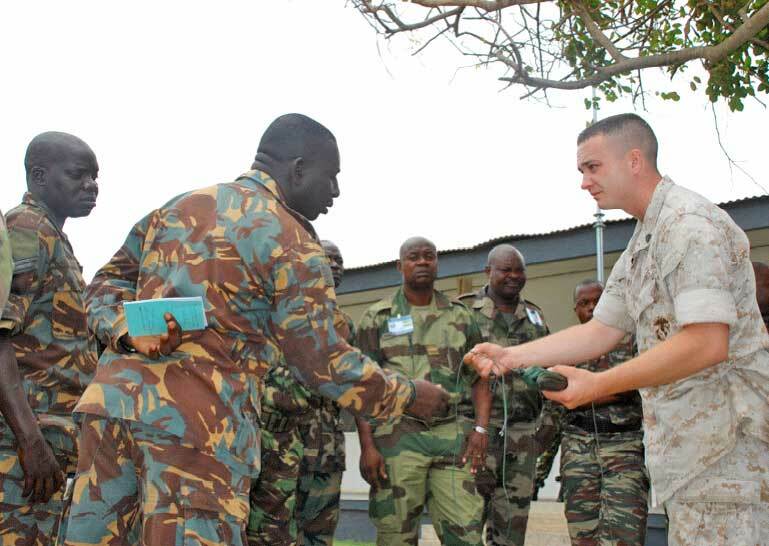 In a State Department briefing Johnnie Carson let us know the real reason for US involvement in Somalia, and the reason for sponsoring African proxies through AMISOM. Not until the very end does Carson give an inkling of what the real U.S. fear is wrt Somalia, which is why the ICU’s revolution was crushed so violently. In other words, they are worried about the possible emergence of democracy, which is much more difficult for external actors to control, and a serious threat to dictators everywhere. The dictators and their US and EU sponsors do not want a political solution, do not want Somalis to be allowed to stabilize their own country. That is why the continued involvement and the continued destabilizing use of proxy force in Somalia. THE US assistant secretary of state for Africa, Johnny Carson, has said President Yoweri Museveni has not turned into a dictator as he had predicted five years ago. In an article published in The Boston Globe in May 2005, Carson said “Africa’s success story” (Uganda) could return to the dictatorial past if Museveni continued his controversial push for the removal of presidential term limits from the Constitution. After the World Cup attacks, of course all sorts of help have been here. Washington sent Attorney General Eric Holder, their top law enforcement official, to Kampala. Carson has become a regular face in Kampala and this visit is as remarkable since on his last visit, he faced open rebuke from President Museveni and his Foreign Minister Sam Kuteesa for publicly supporting the replacement of the Electoral Commission. One of the shortcomings of American foreign policy is its obsession with the status quo, predictability and who is on our side versus who is on their side mentality? Museveni, exhausted after two decades in power, seems to offer the reassurance that Uganda on its own can serve as a bulwark for American interests in the region and now backed by its newfound oil wealth, need not continue on a sustained path to greater democratisation and respect for human rights. The Americans could not sustain the democratisation rhetoric in the face of oil and the “terrorist threat.” Neither can their public officials in the face of a well oiled lobbying machine that recruits former government officials at will. Carson is saying in a few words, we understand the complexities of the system. We prefer to deal with the defined quantity Museveni, a product of years of experience, be nice to the opposition through cups of tea and other empty platitudes. Democracy does not matter, human rights do not matter, American interests, mostly oil, are what matters. Of course in the long run, the big picture, genuine support for democracy and human rights would be far better protection for American interests. But nobody is thinking that way. Sustained security engagement is the polite way of saying ever increasing militarization. 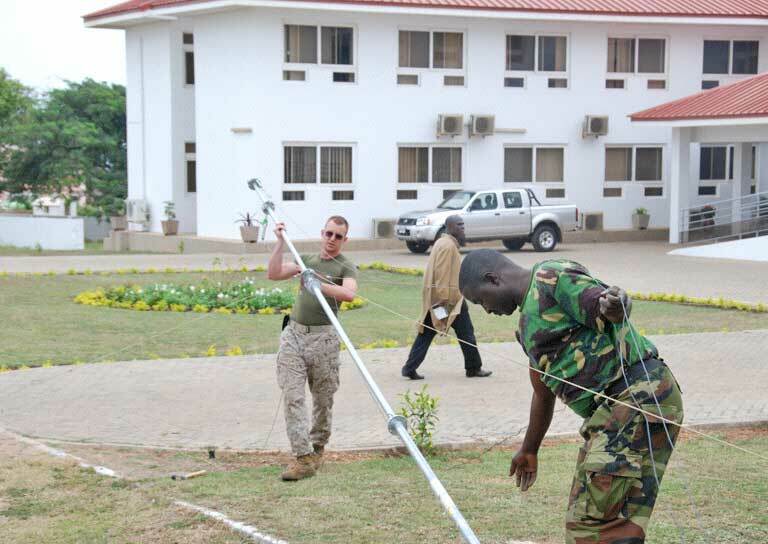 Militarization is US policy in Africa.